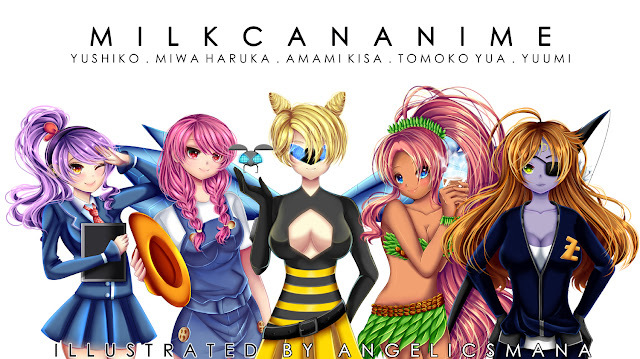 This month I am releasing a wallpaper of 5 fabulous girls - all OCs of Milkcananime. I have the five girls grouped together for a shot. It took our resident illustrator nearly a month to vector and ink the illustration. I have two versions of the landscaped wallpapers. I think it will look absolutely stunning as your computer backdrop or screensaver. It's free for all to download. Drop me an email if you require an even higher-res file (if you have Titan's screen). Yushiko: 21 years old. Height 164cm. Weight 48kg. 34C/25/34. 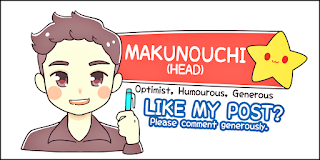 She is none other than our dear Head of Mangaka Spirits. 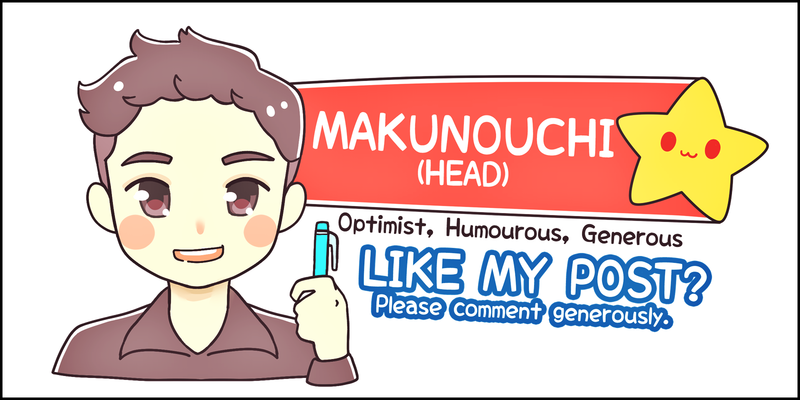 You can find her every weekend posting beautiful artworks of aspiring artists in our facebook fanpage. Yushiko usually draws late at night whilst listening to her favourite music. Miwa Haruka: 21 years old. Height 169cm. Weight 49kg. 34C/24/32. Miwa has a set of beautiful pink braid ponytails and pinkish eyes. She works in a farm and has a special affiliation with animals. Her favourite pet is the adorable cow Moo-chan. Miwa Haruka is the mascot of Milkcananime. Amami Kisa: 28 years old. Height 173cm. Weight 55kg. 36D/26/32. Also known as Queen Bee, she is Alien Hunter Number 2. Equipped with an arsenal of weaponry, no one can hide from her Spectrum Glass, Miniscule Drone Bee and Swarm Bombs packed with fiery killer bees (dare I say sexiness too). Tomoko Yua: 56 years old. Height 80-120cm. Weightless. 36D/25/36. You must be wondering why Tomoko still looks like a 20-year-old. That's because she doesn't age at all! She is a Coffee Genie and was first spotted in a tokyo cafe in 1961. Tomoko appears when she spots a kind-hearted otaku sipping coffee! Yuumi: 29 years old. Height 168cm. Weight 50kg. 34C/24/36. Armed to her teeth with a laser-guided bow, radar-tracking smartwatch and Rambo knife, Yuumi is Alien Hunter Number 1. Her left eye was blinded in a fight with aliens. Since then, no one including Queen Bee had seen Yuumi smile. Hope you guys enjoy the short synopsis and the wallpapers. Who is your favourite girl here? No Comment to " Wallpaper - 5 Beautiful Girls from Milkcananime "